Proficonn - the smallest PROFIBUS-DP Interface module worldwide - of profichip GmbH in Herzogenaurach received the Innovation prize 2010 as part of the Initiative Mittelstand in the category hardware. 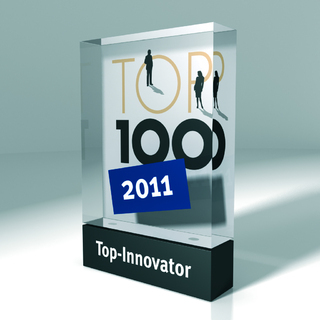 For the seventh time Initiative Mittelstand selects with its Innovation prize IT 2010 the most innovative products and solutions from over 2000 transmittals. All presented products are evaluated by the 80 member jury including professors, scientist and experts from industry, trade and IT as well as specialized journalists according to the content of innovation, relevance for the practice and suitability for the middle class. In the category Hardware, profichip GmbH competed successfully with its product proficonn. The high integrated interface modules enable the immediate hardware integration of a PROFIBUS-DP slave interface with a transmission rate up to 12 Mbit/s. 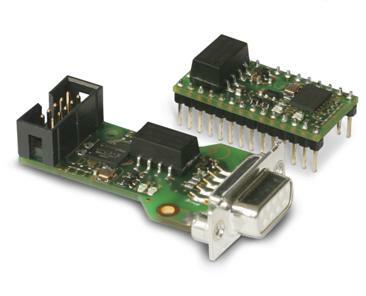 The development of VPC3+S, the smallest PROFIBUS-ASICs worldwide of profichip GmbH, provides the best basis for a spacesaving and cost effective interface in module type. Thereby all PROFIBUS protocol versions (DP-V0, DP-V1 and DP-V2) will be supported. The module contains beneath the PROFIBUS protocol ASIC the complete RS485 interface including DC/DC transducer, dc decoupling and RS485 driver chip. The power supply for both modules is 3,3V combined with a very less current consumption. State LEDs displaying the available power supply and the active data interchange. 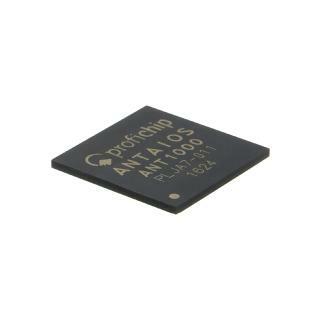 Since 1998 Profichip GmbH develops ASICs for the industrial communication and control. Beneath the ASICs for internal communication tasks in PLC systems, the first Profibus slave controller VPC3+ was presented in 1999. After the successful access in the field bus technology, profichip extended in 2000 this product division with the Profibus Lean slave ASIC, VPCLS. With the multi point interface controller MPI12x, in 2004 profichip opened this standard interface in the automation field for a large community of users. In 2003 profichip GmbH presented with the SPEED7 PLC7000 ASIC, the first high performance PLC processor programmable with STEP7 from Siemens. The second generation of this chip will actually be applied in the Systems 300S and 500S from VIPA. 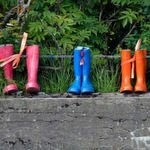 Further processor versions are already in development. Profichip is an independent enterprise with its own sales structure and worldwide operating industrial customers. Beneath the high integrated circuits, profichip offers smart accessories as well as development services and trainings around automation technique.